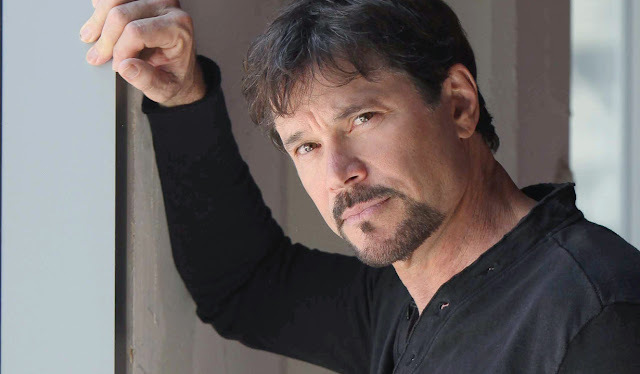 34 Years Ago Peter Reckell Debuted on Days of Our Lives as Bo Brady! On this day in soap history, fan favorite Peter Reckell made his debut as Bo Brady on 'Days of Our Lives' back in 1983. Reckell originated the role on May 2, 1983 and played the role from 1983 - 1987, 1990 - 1992, 1995 - 2012 and made a brief return for the shows anniversary in fall 2015 when the character was killed off. According to 'Days' soap records Bo was born on November 5, 1962. He is the only son of Caroline Brady [Peggy McCay] and Victor Kiriakis [John Aniston]. He was raised however as Caroline and Shawn Brady's [ex-Frank Parker] son until his major paternity reveal in 1985. Bo met the woman of his dreams, Hope Brady [Kristian Alfonso] and married her in 1983. Throughout his tenure in Salem he has been paired with a number of women including Carly Manning [ex-Crystal Chappell], Hope Brady and Billie Reed [ex-Lisa Rinna and Julie Pinson]. He is the father of Shawn-Douglas Brady [ex-Brandon Beemer], Ciara Brady [Vivian Jovanni], Chelsea Brady [ex-Rachel Melvin] and deceased Zack Brady. Bo was an integral employee of the Salem Police Department. While there are currently no plans to bring the character back - we await some change in the near future! Watch the videos below of Bo's first appearance in Salem and the first time Bo meets Hope! Soap Opera News: 34 Years Ago Peter Reckell Debuted on Days of Our Lives as Bo Brady!